What gives strong players the edge over their opponents is not some blockbuster novelty, but a deep understanding of the pawn structures to which their openings lead ? an understanding that lasts into the middlegame and endgame, and is transferrable between different openings with similar structures. 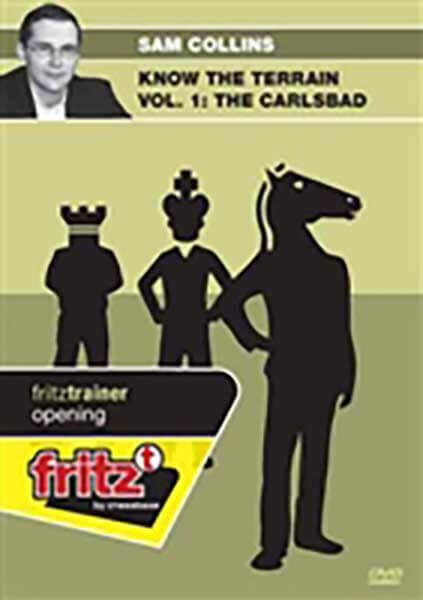 In this DVD, Sam Collins examines one of the most important structures in chess, the Carlsbad. Long the playground of the world champions, whether with Karpov's classical approach of Nf3 or Botvinnik and Kasparov's incredible results with Nge2 and f3, the Carlsbad has an enormous strategic potential for White (exemplified by the legendary "minority attack") countered by Black's deceptively simple kingside counterplay. As a coach, he has lectured national junior squads and taught the master class at the renowned Berkeley Chess School. He has been national champion of Ireland and Japan. His first DVD for ChessBase, "1.e4 repertoire", was excellently received by players and reviewers alike.